NASA adds the two small circles to the Sunspot image. 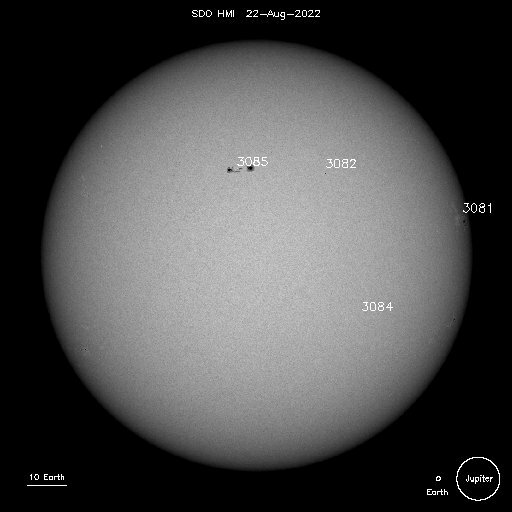 There aren't a lot of sunspots right now. 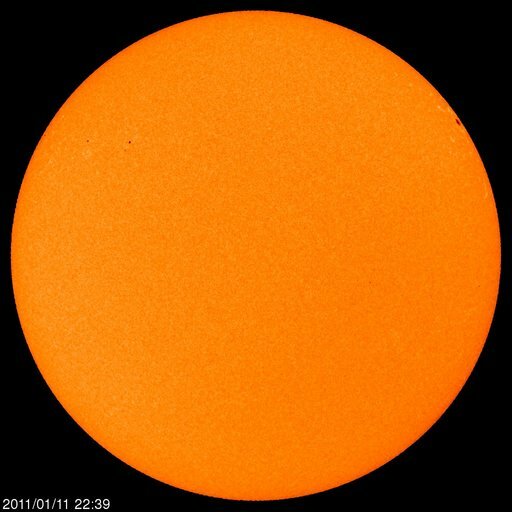 It takes about 2 weeks for a sunspot to move across the face.